"The company just sent out invitations for a "backstage" event held in New York on November 7. Microsoft's Windows Phone team, including Andy Lees and Joe Belfiore, along with other partners will be on hand to discuss the platform." Microsoft will be holding a backstage event on November 7. 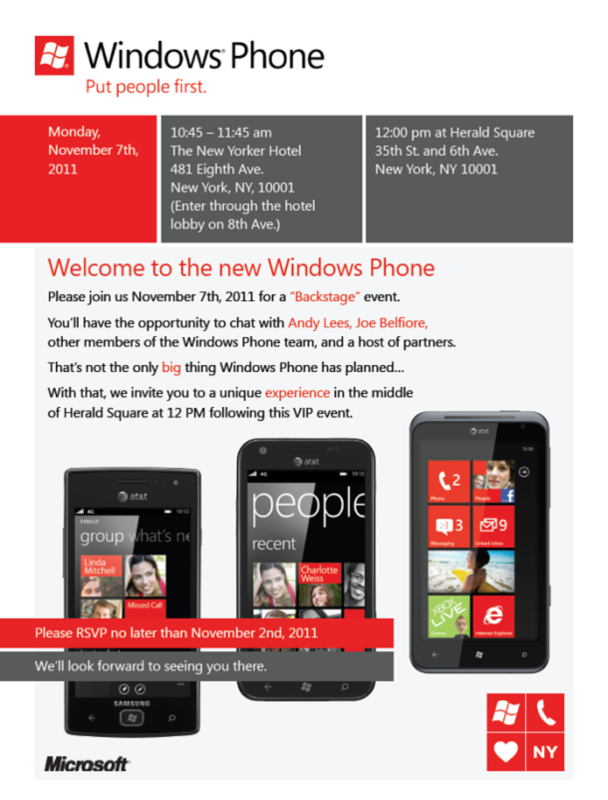 The invitation states a host of partners will be in attendance for chatting and that a big thing is planned. What the big thing may be is anyone's guess at this time.